What does a fork lift operator do? Would you make a good fork lift operator? Take our career test to find out how you match with this and over 800 other careers. What is a Fork Lift Operator? What is the workplace of a Fork Lift Operator like? A fork lift operator is someone who is responsible for operating a fork lift to move, locate, relocate, stack, and count merchandise around warehouses, storage yards, factories, construction sites and other work sites. The operator is accountable for the safe and efficient operation of the fork lift and may also be required to perform order filler and checker duties. A fork lift is a specialized type of vehicle that gets its name from a large pronged “fork” that protrudes from the front that can rotate, lift, and move cargo according to the operator’s directions. These machines are often the most popular in warehouses and factories, and are also widely used in supply yards and loading docks. 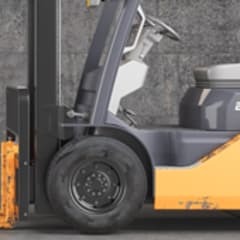 Fork lift operators are primarily responsible for driving these machines and moving cargo according to specific instructions provided by supply managers. Forklift operators are responsible for loading and unloading trucks, ships, freight train cars, and airplane cargo holds. The freight is typically loaded onto pallets, which are usually grooved specifically for the fork’s prongs; making loading and unloading fairly easy. At times, heavy or unusually shaped freight may not be on a pallet, and in these cases it may need to be picked up directly with the fork. Fork lift operators may also be in charge of performing basic inspections on their machinery and doing simple maintenance-related tasks like keeping joints lubricated. Are you suited to be a fork lift operator? Fork lift operators have distinct personalities. They tend to be realistic individuals, which means they’re independent, stable, persistent, genuine, practical, and thrifty. They like tasks that are tactile, physical, athletic, or mechanical. Some of them are also conventional, meaning they’re conscientious and conservative. Does this sound like you? Take our free career test to find out if becoming a fork lift operator is right for you. Fork lift operators work in warehouses, factories, storage yards, construction sites, supply yards, and on loading docks. They sometimes work in extreme temperatures, and depending on what kind of materials they are moving, could be around fumes, odours, loud noises or harmful chemicals. 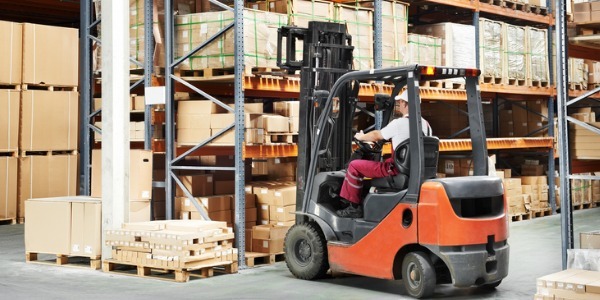 Most fork lift drivers work eight-hour shifts. In 24-hour warehouses, shifts can be around the clock.